11 May, 2018 (RT)* — Donald Trump’s trashing of the Iran nuclear deal this week was not just an attack on Iranian sovereign interests. The US president was also poking European allies in the eye. **Photo: Macron and Merkel (Frankfurter Buchmesse 2017) | ActuaLitté | Creative CommonsAttribution-Share Alike 2.0 Genericlicense. The American president’s high-handed manner was to be expected towards Iran. 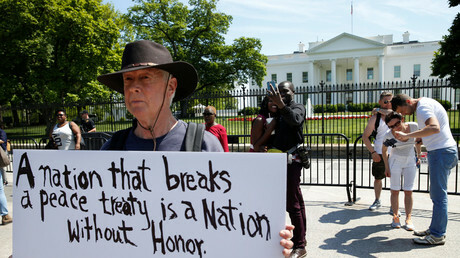 He has constantly denigrated the Joint Comprehensive Plan of Action (JCPOA), signed in July 2015 by his predecessor Barack Obama, along with other members of the UN Security Council, Britain, France, Russia, China plus Germany. Trump’s contempt for Iran as an alleged state terrorism sponsor has also been relentless. Britain, France and Germany, as well as the European Union as a bloc, have pleaded with Trump to stay in the JCPOA. Last month, French President Emmanuel Macron and German Chancellor Angela Merkel both made separate visits to the White House to appease Trump and his threats to rip up the accord. Within hours of Trump torpedoing the Iran deal, his hawkish National Advisor John Bolton was telling European companies they were on notice to cancel investment plans in Iran. 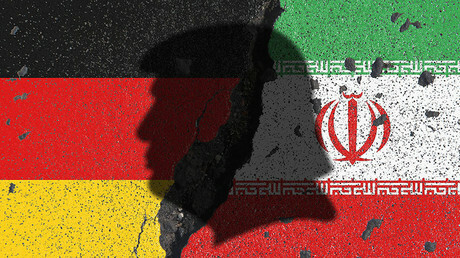 The threat was reiterated by the new US ambassador to Germany, Richard Grenell, who bluntlyadmonishedGerman firms to “immediately” start winding down business operations in Iran. It’s not just a matter of economic concerns – huge that they are. It’s also a matter of security. The Europeans are all too aware that Trump’s violation of the Iran nuclear deal is fueling greater instability and conflict in the Middle East. Europe has much more to lose if a new war breaks out between Iran and its foes in Israel and Saudi Arabia. The already-strained EU can hardly withstand another wave of refugees from conflict in the region. Arguably, the so-called transatlantic alliance has always been overblown as a supposedly mutual balance of interests. 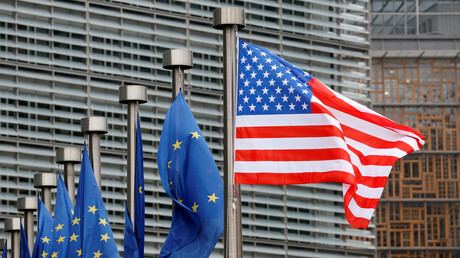 Frankly, the US has simply used European “allies” for its strategic objectives, whether in prosecuting illegal wars for natural resources, or in thwarting Russia and China as geopolitical rivals. Finian Cunningham’s Op-Ed was published in RT. Go to ORIGINAL. **Photo: Emmanuel Macron and Angela Merkel (Frankfurter Buchmesse 2017) | Source: Foire du Livre de Francfort 2017 | Author: ActuaLitté | Creative Commons Attribution-Share Alike 2.0 Generic license.